Comparisons to the atrocities of slavery shouldn’t be thrown around lightly. But much like how Internet commenters often invoke Nazism, you can always count on the trolls at PETA to take things way too far. 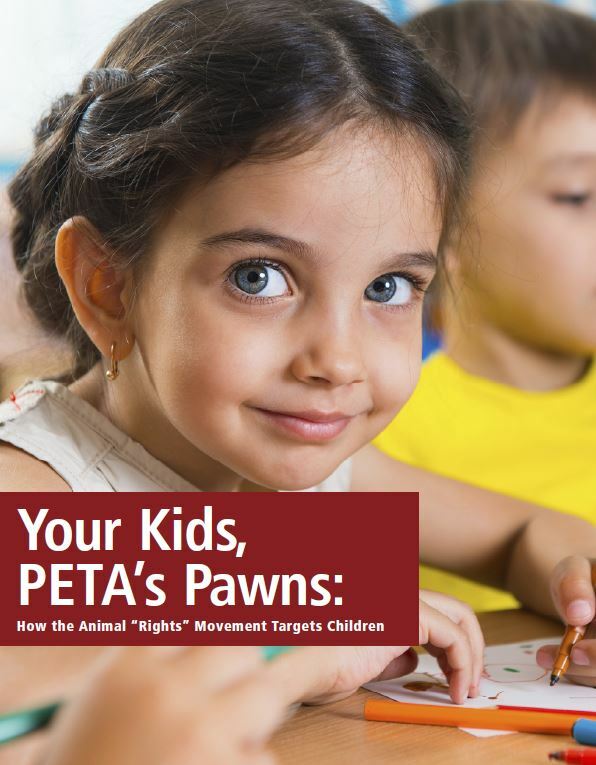 PETA recently sent its “PETA Kids” members an email asking “Are You Accidentally Supporting Slavery?” The email also included a video that compared circus elephants, zoo tigers, and marine park whales to slaves. PETA’s trivialization of slavery is offensive to say the least, but the fact that PETA would make such an extreme claim in an email to children is disgraceful. No, kids: zoos, aquariums and marine parks are not the moral equivalent of slavery. The main goal of most zoos, aquariums and marine parks are to celebrate animals, educate the public, and encourage conservation. The people who go there enjoy animals and want to keep them healthy and happy. While PETA’s offensive messaging to children is shocking, it’s par for the course for this extreme organization. 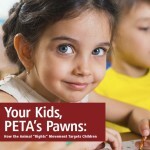 As we documented in our report “Your Kids, PETA’s Pawns,” PETA’s youth division ran a contest instructing kids to print an image of a tampon and tape it “on the cartons of eggs in your fridge at home” because “If you wouldn’t squeeze out your girlfriend’s tampon to make an omelet, it doesn’t make sense to cook a chicken’s period for breakfast.” PETA also congregates outside school property, waiting for children as they come and go in order to push its animal-rights propaganda. This is not the first time that PETA has evoked such reprehensible analogies. PETA previously ran a “Holocaust on Your Plate” campaign attacking meat consumption. The campaign featured public advertisements with images of concentration camp prisoners placed side by side with farm animals. The campaign resulted lots of criticism (not surprising), including some from an actual holocaust victim. The campaign sparked even more disgust and anger from many in Germany. PETA’s inappropriate juxtaposition between zoos and slavery overlooks the positive work that zoos, aquariums and marine parks do to promote animal welfare. These institutions play an important role in generating appreciation for animals of all kinds, and are valuable contributors on the conservation front. Taking your kids to the zoo supports an appreciation for animals, not slavery.